Noid Light is a diagnostic tool that helps you determine if your car has fuel injector problems. This is indicated by the light that flashes whenever you plug the Noid Light in your car injectors and start your car. If the light flashes, then your fuel injectors are in good shape. If it doesn’t, then your fuel injectors are the cause of your car trouble. But let’s assume that having found that your fuel injectors are the culprit of your engine troubles by the use of Noid Light, what next? Do you immediately go to the nearest mechanic or car service station and spend huge amounts of money in having your fuel injectors cleaned? 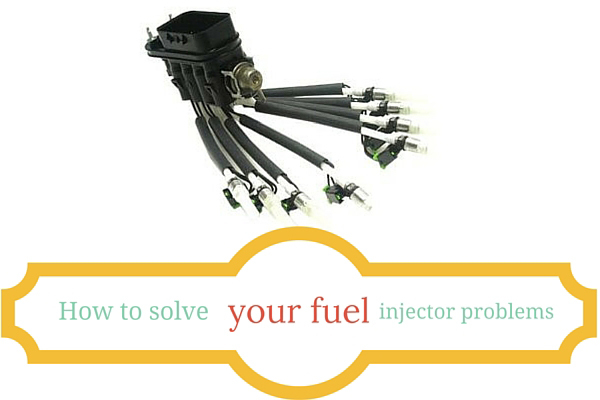 Or is there any cheaper way to solve your fuel injector problems? Listed below are three suggested ways on cleaning fuel injectors. 1. If you’re thinking about giving your fuel injectors a periodic cleaning, then go to your car mechanic and tell him you want pressurized cleaning done to your fuel injectors. This will help get rid of any junk that has clogged your injectors and solve injector problems. 2. If you don’t have a mechanic, or if you want to do it yourself, you would need to pour a bottle of cleaner in your gas tank. For this to work, your gas tank would have to be filled up to three-fourth’s of gas. Having poured the cleaner in you tank, all you have to do is let it work. This may not be as effective as the pressurized cleaning done by your mechanic but if you do it a second or third time, you will have better results and will cure any bad fuel injector symptoms your car may be experiencing. 3. If what you want for your car is the ultimate cleaning of fuel injectors, then you may want to consider having them replaced with new ones. This may be cheaper than having them removed and cleaned through a sonic machine especially if your car parts are relatively inexpensive than others.